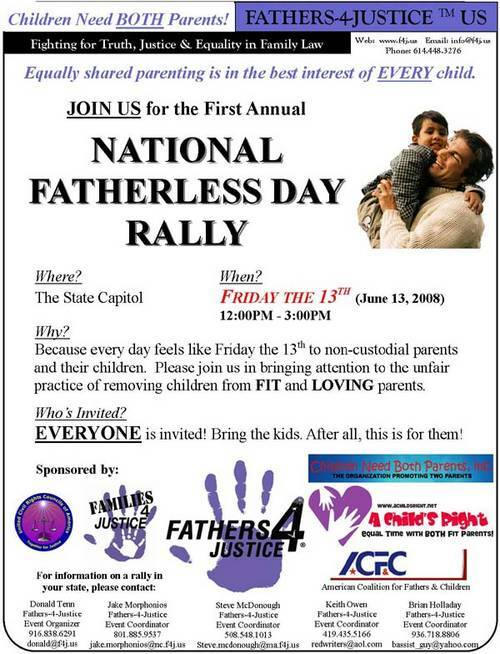 When mothers give up their babies for adoption without getting the father’s consent, family courts rule in favor of the mother’s decision when the father finds out and protests and demands child custody. Often these judgements are made in the guise of “best interests of the child”. Granted these cases are tough but is the best interests of the child not being with the father? Should the best interests of the child not take into account the fact that the mothers surreptitiously gave away the babies for adoption without the consent of the father? Should the dads be punished like this just because they cannot be mom? Why do family courts side with the mother’s decisions in violation of child rights? “The biological father launched a legal battle last year to get custody of the baby, arguing he hadn’t agreed to the adoption. He said he hadn’t even been aware he was the child’s father and once he found out, he sought custody. “As well, the court found the biological father was capable of having a positive presence in the baby’s life, but not in a parental role. So in order to give the child a year of ‘familial calm’ to promote bonding and attachment in his current home, the court banned the biological father from seeing the baby for a year. As a judge noted, Jorge C., the father of a newborn, “did everything one would hope a man in his position would do.” It wasn’t enough–after all, he couldn’t become a mom. A Saskatoon father who is battling with a Prince Albert couple for custody of his fi ve-month-old son got a shock this week in the form of a letter demanding that he pay them child support. “Shame on them,” Rick Fredrickson said in an interview, after learning the couple who left a Saskatoon hospital with his newborn son this spring — while he desperately sought help asserting his paternity and right to custody — now wants access to his fi nancial records in order to calculate how much he should pay them for the child’s care.